Aqua-Tots Swim Schools is the industry leader in swimming instruction because of its world-class curriculum, highly trained swim instructors, family friendly environment, and state-of-the-art year-round facilities. Our motto, "Safety First, Fun Every Second" embodies our guiding philosophy that learning to swim is an essential life skill - one that can save a life and be enjoyed over a lifetime! Our mission is to prevent drownings by working with the community to provide a standard of excellence in teaching children water safety. 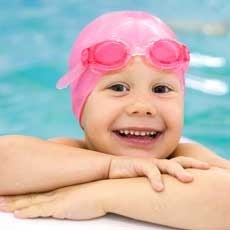 At Aqua-Tots Swim School of Horsham, we teach swimming techniques that provide a safe and fun experience for everyone. We offer swim lessons for children starting at four months of age.